Orange Pumps designs, manufactures and distributes products that are made from quality materials to meet high engineering standards. Our engineers in Melbourne, Australia have many years of experience developing water pumps to perform in adverse conditions for long periods of time. Electric motors have been designed to operate through a wide voltage range at full load whilst having a low temperature rise to preserve the bearing, capacitor and motor winding life. Pumps are hydraulically engineered with unique impeller, diffuser and casing shapes to maximise performance and increase energy efficiency. Our range of products includes jet, centrifugal, multistage and regenerative turbine pumps each with different performance characteristics to suit different applications. There is a choice of switches and pressure tanks to convert these pumps into automatic systems. Petrol or diesel engines are available with the high performance Utility Pump for fighting fires and other applications. A full range of spare parts, service and advice is available through our qualified distribution network. Our staff are experienced in pump selection, installation requirements and product construction so that we can respond quickly to enquiries. Our aim is to offer effective, efficient water supply solutions with a focus on personalised customer service. Orange Pumps is owned and operated by the Davey family, who have a long history of designing, manufacturing and marketing water pumps in Australia. In 1934 Frank Davey began his business by servicing the market gardener’s automobiles at the Queen Victoria Market in North Melbourne. The business has since expanded from auto-electrical repair to Davey Water Pumps. In 1967 Don Davey started Onga Pumps which developed a range of products for the water supply industry in Australia and overseas. The company prospered which induced a change in the equity structure. 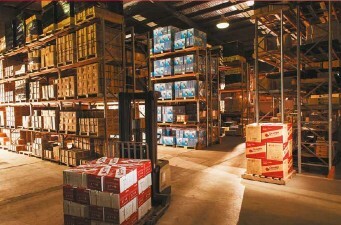 In 1996 Don Davey started Orange Pumps with the strategy of utilising the global supply chain. At this time China had not entered the World Trade Organization nor developed it’s manufacturing strength. Orange Pumps pioneered this business model which enables us to deliver high quality products at affordable prices. James Davey with a team of experienced managers now operate the day to day business of Orange Pumps.